Whose seal kit are you using? Reason I ask, a local shop was using a Victor Reinz kit for a reseal, they installed the cylinder base to case o-rings, and had severe leaking. The o-ring cross section was not uniform, once they examined after disassembly. They then ordered Porsche factory cylinder base o-rings. Those had slightly larger cross section, and were completely uniform. Problem solved. I'm going to use a Wrightwood kit on my project. Last edited by Super90; 06-27-2017 at 01:00 PM. Thanks for the heads up. 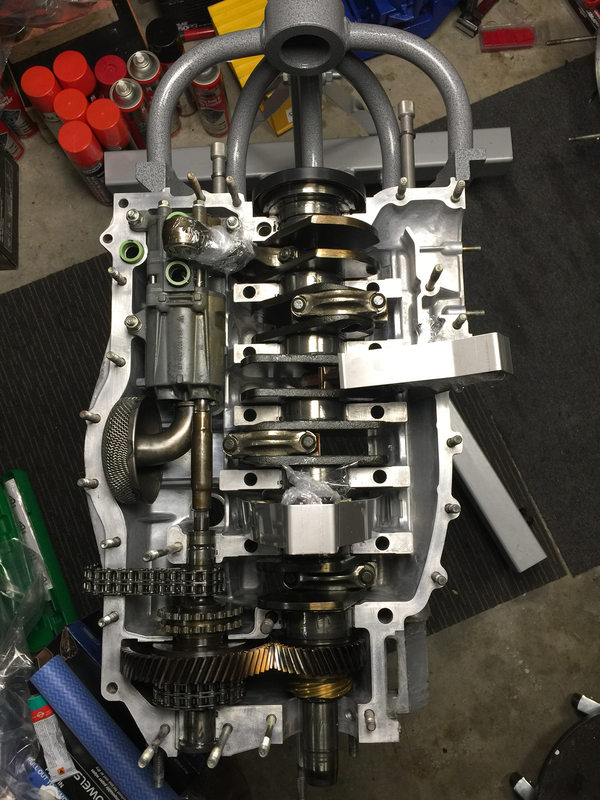 I'm using Porsche sets for both the crankcase and heads. However I have an Elring crankcase set and Victor Reinz head set for another day. I'll have a look at those cylinder base o rings to see if I can observe that issue. In any case I plan to use some Curil T on those as a back up. 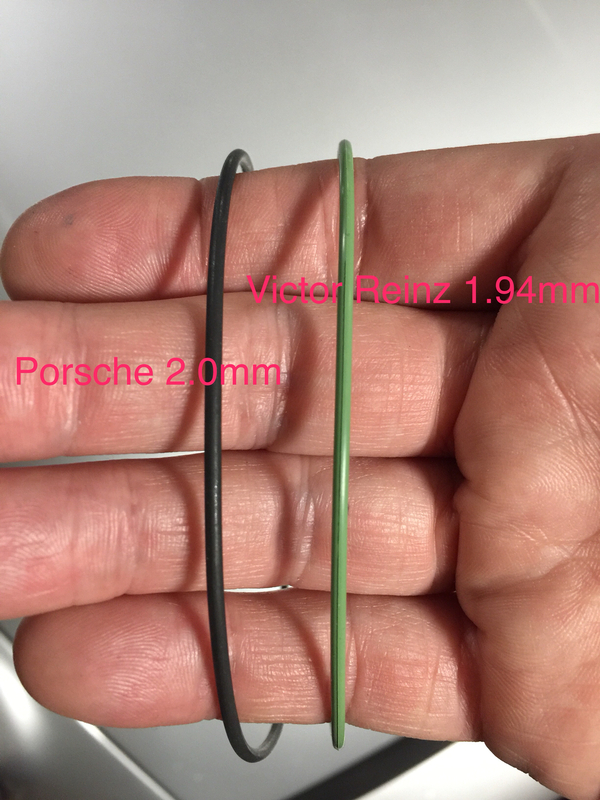 Reportedly, though I don't have the data, Porsche calls for a 2mm cross section on those o-rings. They did not use Curil T. On the case spigot to cylinder base o-ring area they used Permatex 80697 copper coat spray gasket sealant applied by spraying some into a small container the used a small brush to apply it to both the grooves in the cylinder base as well as the groove on case side and a bit onto the o-ring itself. Not big globs, just enough to make sure it covers everything for a maximum seal. You don’t want it just gushing out all over the place. Common sense should be used here. No direct experience myself, just sharing their methodology, as they shared it with me. Each shop has it's own preferences. Thanks Robert. We actually have that product in New Zealand so I can use the advised method. I've done a lot of research and it is bewildering at times e.g. the local experienced mechanics don't support anything other than 574 on the case seal whereas it's Threebond on Henry's list. Then there's the trolling on Molykote 55 vs 111. The P fix it DVD isn't 100% comprehensive. Some torque settings are only mentioned in one document. I just have to choose my own path and own the decisions. I'm enjoying myself though, especially as installation is cleaner than disassembly. Those are the cylinder barrel to case O-rings? As I was so hopeful that the tc gaskets and cam o-rings would solve my only noticeable oil leak, i still have the leak. Cannot see source coz those cooling deflectors are in the way... I suspect the barrel o-rings you chaps are discussing.... Noted! Last edited by C4inLA; 06-27-2017 at 09:54 PM. Those are the cylinder barrel to case Orings? As I was so hopeful that the tc gaskets and cam orings would solve my only noticeable oil leak, i still have the leak. Cannot see source coz those cooling deflectors are in the way... I suspect the barrel orings you chaps are discussing.... Noted! Yes, the barrel to case O-rings. Another possibility in that area are the through bolt O-rings. When you rebuild these engines you realise how many potential oil leak points there are. At some point you just have to accept a few drips. 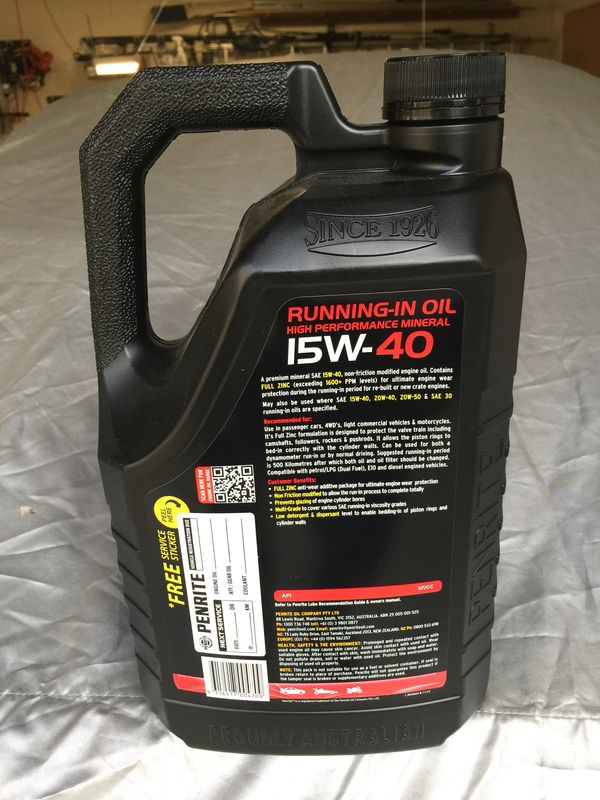 I couldn't with the nose bearing as I was losing a lot of oil, not just a few drops. Mine has been leaking at the cylinder bases. Pulling the motor to fix that. Since it's all coming apart, we are putting in the latest model, upgraded 3.6L pistons and cylinders. Case through bolts are another of the "usual suspects", without a doubt. Again, VR o-rings are suspect according to a few I have talked to. Porsche original, or Wrightwood kit. ^^ can one order the wrightwood kit direct or is it only available to dealers? 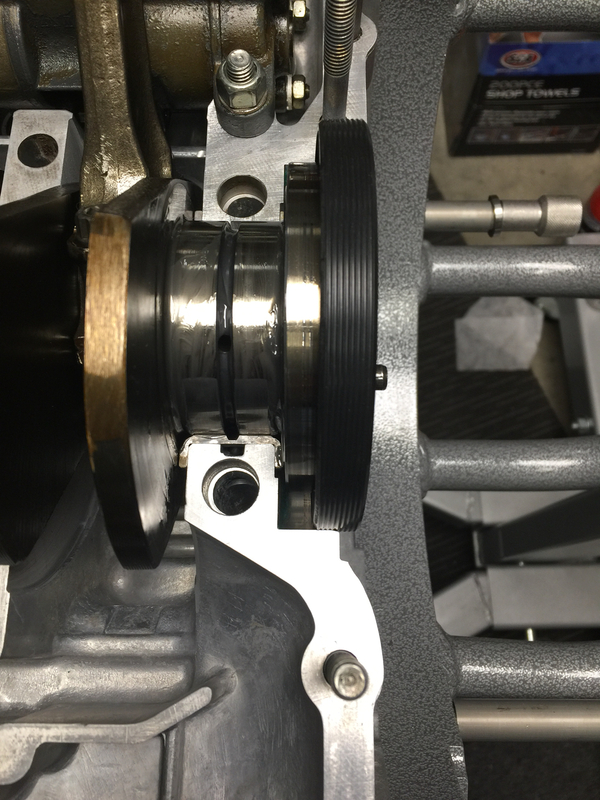 Crankshaft in place with assembly grease etc. next step is fitting the nose bearing and closing the case. That will wait until Saturday when I have lots of light, time and hopefully an awake son to hold the through bolts etc. 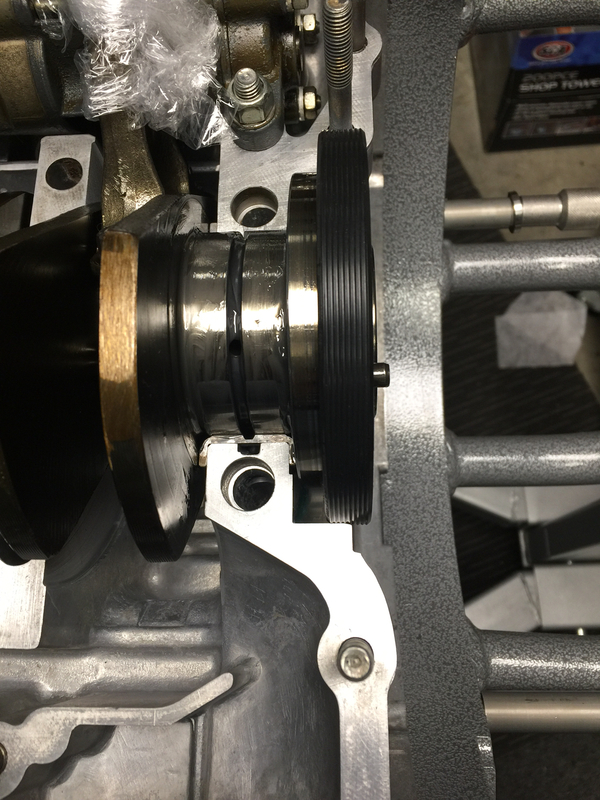 BTW the crank seal isn't fully inserted as I need to lift the crankshaft out slightly to fit the nose bearing. Last edited by John McM; 06-28-2017 at 06:53 AM. 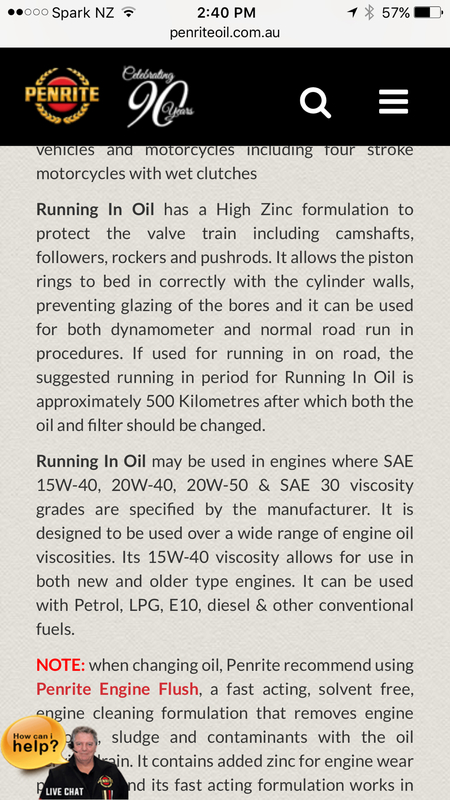 I sourced specialised running in oil. 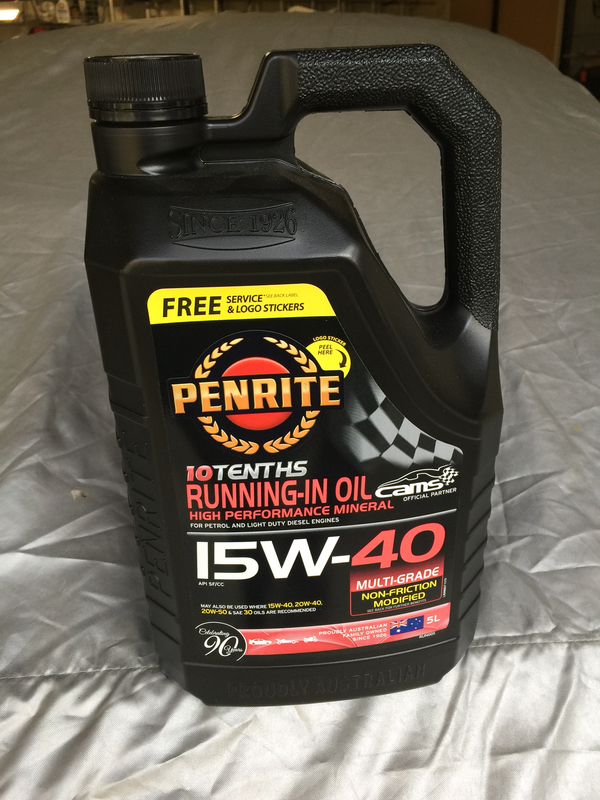 Zinc levels in this are close to 1,700 ppm so should protect my tappets and Cams well. I've seen their crankcase set but not the head set. Maybe I need to look a bit harder. Per my engine builder... "He likes Reinzosil, good to 300 degrees C! Has used a silicone grease on the green viton o-rings at the base with no other sealant, at times, however. Issue with sealant is you want to clamp it down and not let up. That is a bit difficult on cylinders. 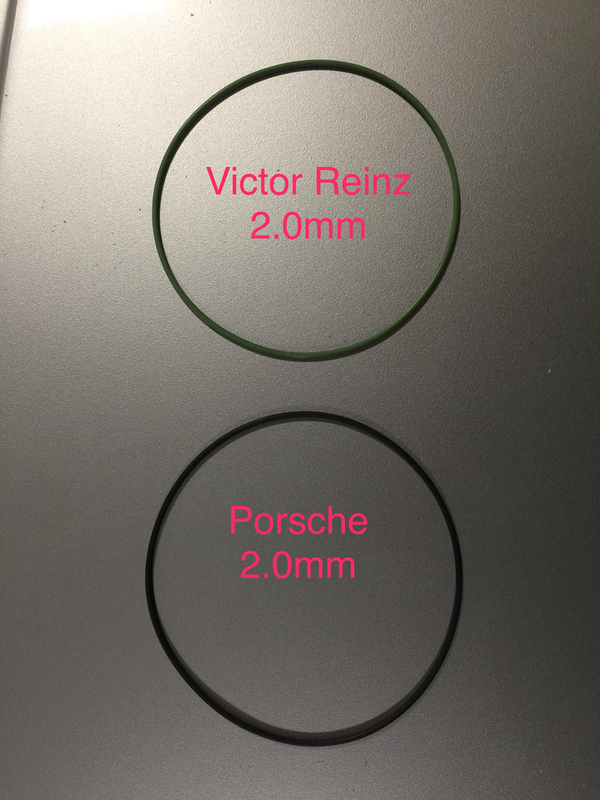 The o-rings and surface finish really provide the seal. Older engines had copper gaskets, and he uses a copper spray on coating on those. This Reinzolsil works good on cam housing to head assembly too. 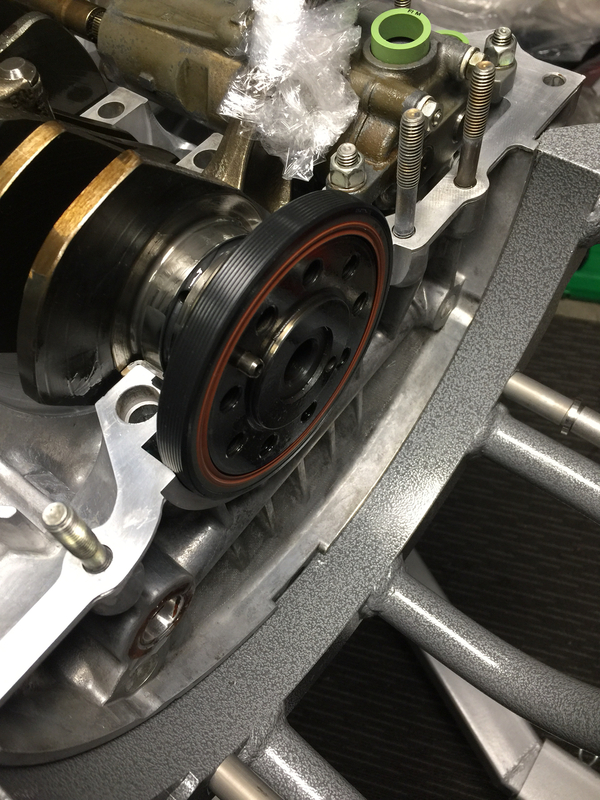 Technique is critical to clamping it up." That copper spray he mentions sounds like the same the other shop discussed. I confirmed with them on that Permatex copper sealant and that is what they used. Interesting. Last edited by Super90; 06-28-2017 at 12:07 PM. Just to confirm that the other shop uses the Permatex product on 964s? Isn't it ironic that Reinzosil is a Victor Reinz product. Unfortunately it doesn't seem to be sold in NZ so Permatex is my only option.